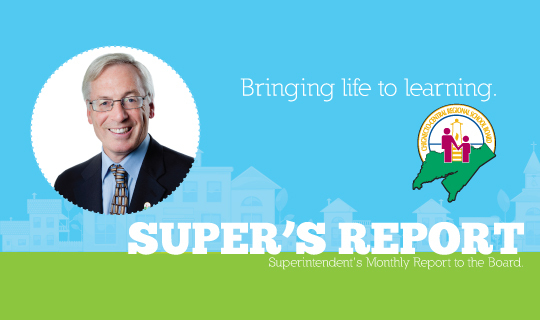 In this month's issue of the Super's Report, Superintendent Clarke focuses on the impact of the Arts on students, Restorative Approach demonstration classrooms, the 2015-2016 Budget preparations and, of course, amazing news from our schools. If you want a more interactive experience, you can watch a video about the Arts in CCRSB, Artistic Merit, with teacher Stephanie Dean-Moore, or one about teacher Bonnie Moore's Restorative Approach Demonstration Classroom! Click here to read the Super's Report for May.